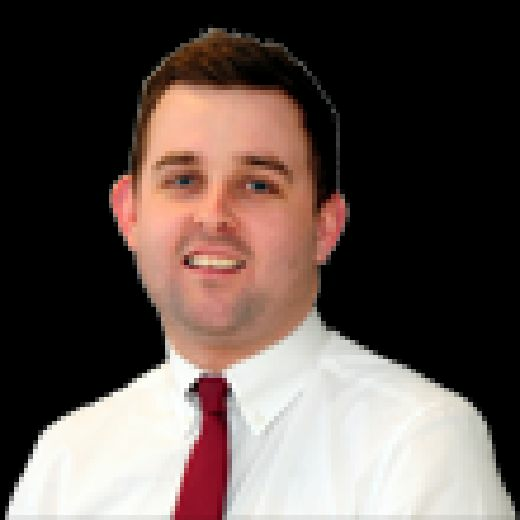 Poulton kept up the pressure at the top of the West Lancashire Football League Division One table with a comprehensive 4-0 win at Askam United. Goals from Max Landless and Adam Sharrocks within the space of two minutes of each other handed Poulton a two-goal lead in the first half. Sharrocks bagged his second of the match 20 minutes from time before Allan Thompson wrapped up the points with a fourth. The win leaves Poulton just two points adrift of league leaders Hurst Green although they still have two games in hand to play. There was no action in the Premier Division as all four scheduled games were postponed due to the weather. However, three sides were in cup action. A late Tom Entwistle winner secured Garstang’s passage through to the last four of the Richardson Cup as they defeated Fulwood Amateurs 3-2. They had to come from behind twice as Chris Bennett handed Fulwood the lead just seven minutes in, only for Ric Coar to level five minutes later. Danny Parkinson put Fulwood back in front for a second time only for Garstang to turn it around thanks to goals fromJake Salisbury and Entwistle. A Bret Dawson brace wasn’t enough to stop Thornton Cleveleys bowing out of the competition at the hands of Euxton Villa, as they lost 4-2. Rob Walker scored two first-half goals for Euxton, with Dawson’s first sandwiched in between leaving the score 2-1 at the interval. George Davies stretched Euxton’s lead on the hour mark before Dawson pulled it back to 3-2 with his second, only for Rick Wilson to restore the two-goal margin to knock Thornton out. In the second round of the Presidents’ Cup, Lytham Town beat Hurst Green 2-0 thanks to goals from Rob Nunnen and Mark Fiddler. Blackpool Wren Rovers travel to Longridge Town on Saturday in Premier Division action. 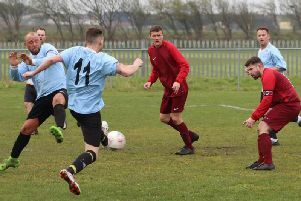 The last of the quarter-finals in the Blackpool and Fylde Sunday Football Alliance Gledhill Cup saw favourites The Saddle pushed hard by division one side Station Lytham. Mason May scored the first while Robbie Hulme and the impressive Joe Booth were also on target before Harry Greenwood pulled one back – but The Saddle saw the game out. In the Berrys Beds Premier Division Cup quarter-final, Appletree Finance beat 21st Century Windows 3-1 thanks to goals from Ben Holland, Morgan Walsh and Scott Grimes. Thomas Adams replied but Appletree now face Blackhurst Budd in the semi-final. In the division one quarter-final Highfield Social beat the New Albert but it had to be decided on spot-kicks as the game ended 1-1 with goals from Lee Clark and David Morris. However, Highfield went through 6-5 on penalties to face Station Lytham in the semi. In the divisiontwo quarter-final, Clifton edged out Layton Seniors 5-3 with goals coming from Steve McEwan(2), Connor Whiteside(2) and Damian Clayson, with Alex Louden(2) and Alex Ryder on target for Layton. Clifton now face Marshall court in the semi-final where the winners will play Westview at Fleetwood Town after they stunned league leaders McNaughtons in the semi-final. Steven Rankine scored four with Sam Firman and Alex Trushell also on target as they won 6-3, Simon Annetts, David Ireland and Jason Nuttall with the consolations. In the Bathroom Solutions Premier Division, Jordan Casey scored the only goal as Broomheads Estate Agency beat Exceptional Kitchens 1-0. Ric Seear returned from injury to smash five goals for Blackhurst Budd as they beat FC Shovels 9-4. Josh Miller scored a brace with Liam Frend and Danny Penswick also scoring as Aaron Fleming (2), Ryan Tanser and Kaylen Lyne scored consolations. There was a brace each for Nathan Hine and Sion Kenyon as Additions made it 14 wins out of 14 with their 6-1 win at FC Rangers. Simon Beavers and Dean Richards also scored with Adam Bush grabbing the FC Rangers goal. In division one, E and P Publications beat Layton Pub 5-4 with the winner coming in the last minute; scorers for E and P were Ellis Tortelly (2), Robert Pye, Shaun Frankie and Andrew Duckworth with Shane McLeod (2), Karl McLeod and Jamie Kershaw scoring for Layton. Ma Kelly’s Showboat stunned Anchorsholme 4-3 thanks to Jordan Bullen(2), Aran Bottomley and Callum Musgrove; Adam Fishwick, Daniel Horner and Daniel Barnett scored consolations. In the second division, Alex Prejmereanu and Taylor Clews gave Boars Head a 2-1 win at Kirkham Town for whom Michael morcombe scored. Stuart Hammond (2), Jake Whittaker, Mike Smith and Lee Fleetwood were all on target as Marshall Court beat Wrea Green 5-0. Anchorsholme FC returned to the top of the Mid-Lancashire League first division with a 5-0 win away to Wilbraham Club. Despite muddy and wet conditions at the fourth-placed Preston club, Anchors played some excellent football as Darren Heaney and Adam Parkinson both scored twice, with Chris Daws adding a rare goal. The Yellows lead Freckleton by one point and victory in their final two games will secure the title. Next up is a crunch home clash with third-placed Charnock Richard on Saturday.